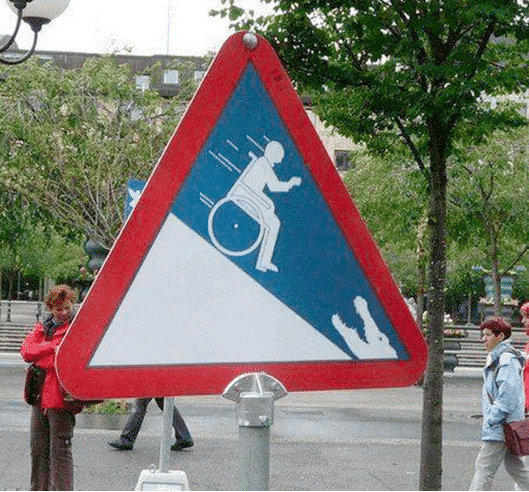 There are some funny road signs that are good for a laugh but others are more serious. 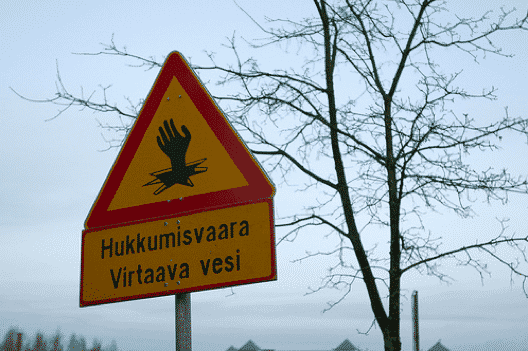 These are the signs that warn of wizards, pooping planes and all sorts of other nasty stuff. 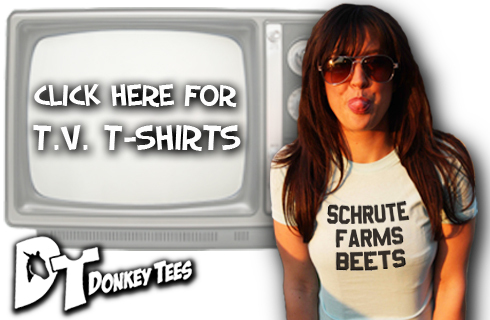 You don’t want to ignore them. Anyone who gets around on a wheelchair will want to get their brakes tested before going to this place. It seems as though a handy steep gradient takes you straight into the waiting jaws of a lurking crocodile. Just as you would expect, really. 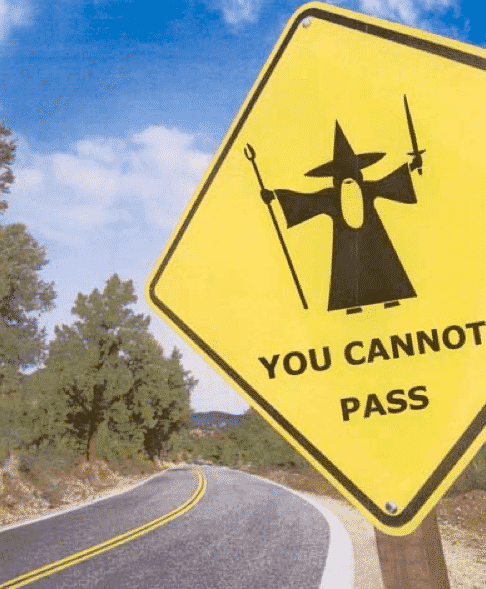 One of the worst things about driving these days is when those awful wizards stop you from passing from one place to another. Why don’t they just mind their own business and fight dragons, cast evil spells and do whatever else it is that wizards do? If I’m being honest, if probably makes more sense to learn the original language this was written in than to try and understand the translation. 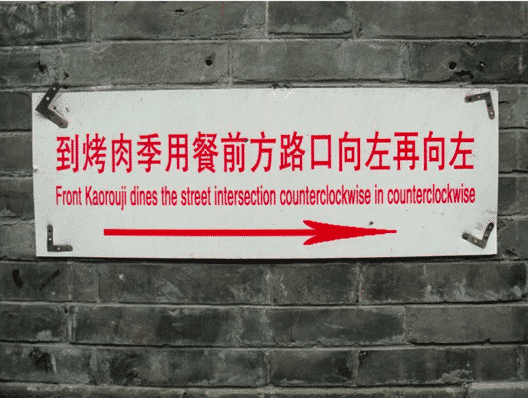 It sure was nice of them to translate it for us but the result isn’t at all helpful to anyone. Good Lord! It looks like a detached hand could attack your car in this place. This gruesome looking road sign appears to be trying to tell us something really important but I can’t work out what it is. Whatever it is, you don’t want to watch that old horror movie The Beast with 5 Fingers before you come here. 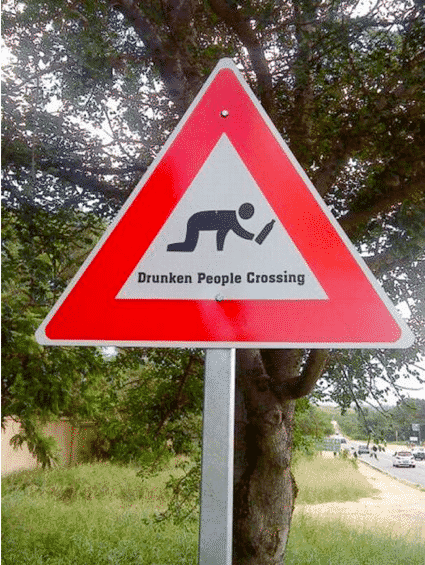 This is a funny road sign but might it could also save you from running over a prostrate drunken person who is crossing the road on all fours while using his personal force field to maintain a bottle in the air. It’s not something I’ve seen a lot but thanks for the warning guys. So, how fast exactly can I go here? Even the drunks who are crawling along the floor with their floating bottles would probably stop and scratch their heads at this one. It is 4 15/16 MPH you can go at here. 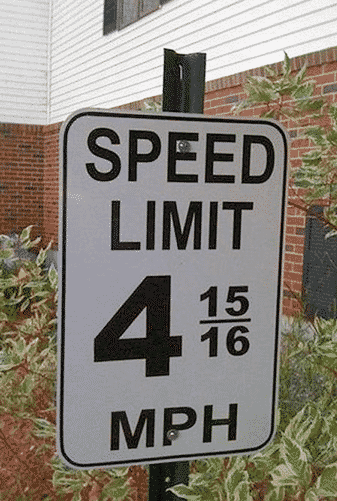 That seems not only very slow but also improbably precise. We’re back to corny old horror movies for this one, aren’t we? 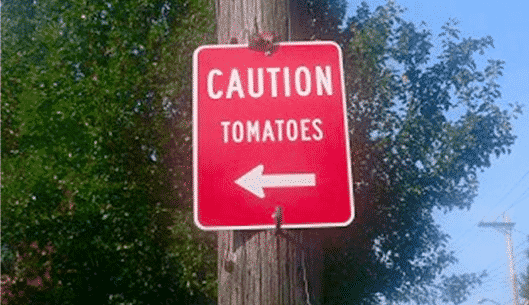 I once caught a few terrifying minutes of Attack of the Killer Tomatoes and I’ve never been able to look at salads in the same way since. I had always secretly suspected that it was the cucumbers that were most evil but it turns out that the annoyingly indecisive fruit / vegetable dudes are the one you need to be aware of. I like to think that I am intelligent enough to work out what most signs mean. Sure, if it read like gibberish or has a mysteriously detached hand on it I might struggle. 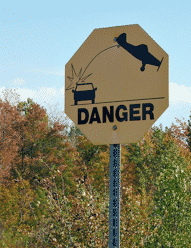 However, when all it contains it the word “Danger” and the image of a small plane pooping on a car I think it’s pretty clear what we need to look out for here. 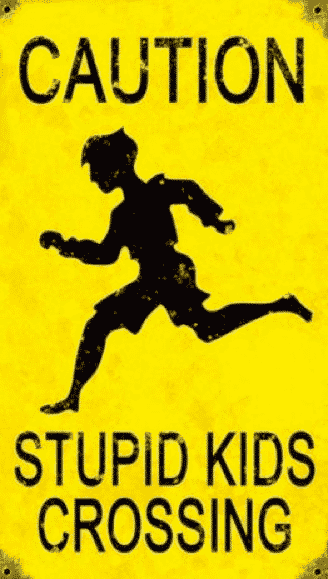 If it wasn’t for those stupid kids driving would be a lot easier, wouldn’t it be? Thankfully, there’s a funny road sign that reminds you to look out for them while you are behind the wheel.